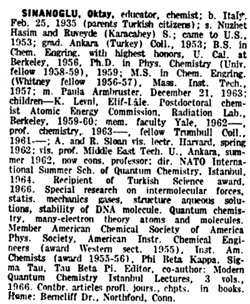 Sinanoglu, Oktay - Component of : Early Ideas in the History of Quantum Chemistry. 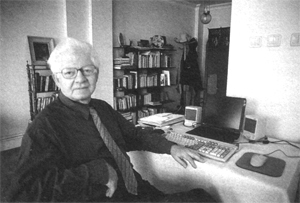 Sinanoğlu in 2000 in Turkey. ©Türkiye Is Bankasi Kültür Yayinlari, Istanbul, 2000. Click to enlarge (130 KB). Oktay Sinanoğlu was born in 1935. The follwing text is from "Who is who in America". Please note: Much of the material of this site is from this book here. You might want to buy it, it's a good one. All © at Türkiye İş Bankası Kültür Yayınları, Istanbul, Turkey. Yale Bulletin & Calendar September 1-8, 1997 Volume 26, Number 2 and may be viewed under: http://www.yale.edu/opa/ybc/v26.n2.news.07.html. 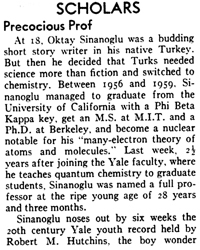 Oktay Sinanoglu is a specialist on theoretical chemistry who became well known early in his career for his Many-Electron Theory of Atoms and Molecules. More recently, he received attention for a research system, dubbed "Sinanoglu Made Simple," that he derived from his own mathematical theories. The method, considered revolutionary, enables chemists to predict the ways in which chemicals combine in the laboratory and to solve other complex problems in chemistry using simple pictures and periodic tables. When it was announced in 1988, Professor Sinanoglu said it was easy enough for even a 12-year-old to understand, adding, "The pictorial rules turn chemistry into a fun game..." Professor Sinanoglu came to the United States from Turkey for his post-secondary education, earning a B.S. and Ph.D. from the University of California at Berkeley and a M.S. from the Massachusetts Institute of Technology. 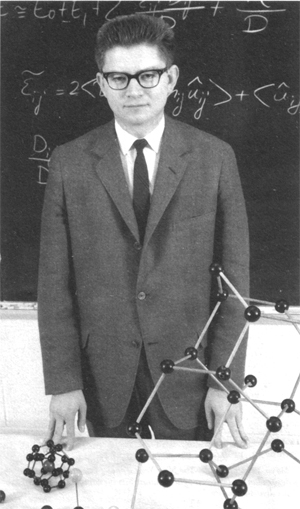 He joined the Yale faculty in 1960, and has since published many papers explaining his theories on chemistry. 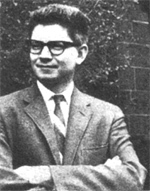 When he was named a professor in 1963 at the age of 28, he became the youngest person in the past century at Yale to attain status as a full professor. Note: Presently in Turkish only. O. Sinanoglu and M.K. Orloff : The Pi-Electron Approximation and Coulomb Repulsion Parameters. In: Istanbul Lectures, p. 221-231. Academic Press, N.Y., (1965). Read it here! Note: This paper was selected for Early Ideas the History of QC since it fits in nicely with the Pariser-Parr-Pople Method. Browser setting in English speaking countries: For the Turkish texts make sure you've set to: Automatic Language Recognition. It might just look nicer this way. 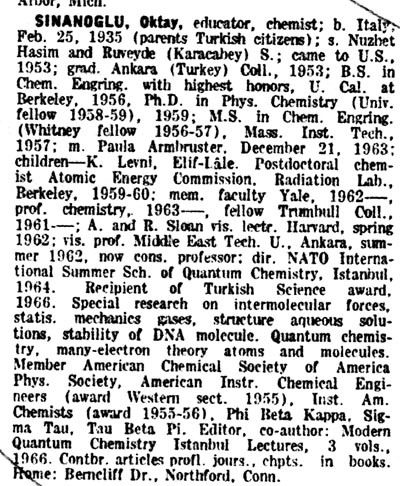 Sinanoğlu's involvments in modern Turkey's scientific and/or educational politics. there is hardly anything to find. of the web search and you'll find a lot more. This page gratefully acknowledges the active help of a young Turkish student, Görkem Yiğit, Nazilli, Aydin, Turkey. He bought the Turkish book about Sinanoğlu (more elsewhere) for this website and translated parts of it. Copyright © July 21, 2002 by U. Anders, Ph.D.